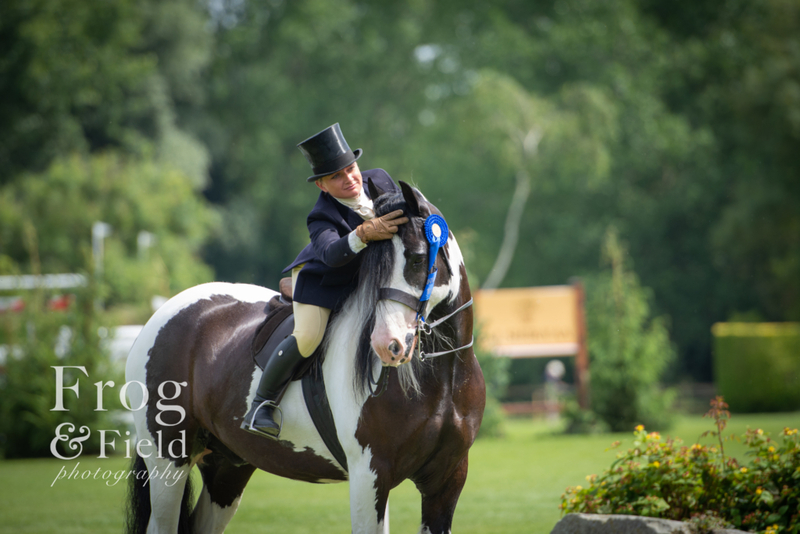 Amazingly the sun was out again for the second day of Hickstead Derby 2018! I planned to go into the main arena on Sunday, after all it was Derby Day. Long linen trousers as knees have to be covered. I still managed to go with sandals though. Something lovely about having your toes out- even though I really need a pedicure! No real plans for the Sunday which I actually really like. I prefer to just move from ring to ring and hang out in the warm up/collecting rings areas. It’s where the best images happen and where you can get some emotive images. I even had one lady say to me ‘oh you’re the one who got the picture of the mum giving her kid a hug, I loved that pic’. Things like that really make me smile. I found some cute coloureds and got a few snaps of them before heading back to showing rings where the heavy weight hunters were doing their thing. Again, all of them were turned out to perfection and oozed quality. Jayne Ross was pulled in first but after the ride the judge then picked Lord John ridden by Hetty Spencer to take the first place. Jayne’s horse was only 6 years old though and I’m sure I’ll be seeing him in the sashes next year. Risking being blinded by sand I got some of the gallop shots I loved from the day before. Popping back across the road I had the delight of the side saddle class starting. A personal fave of mine and one I had to watch. Such poise and elegance. Gorgeous to watch. It was tough because there was also the RoR class going on across the way. As a lover of the racehorse and given my history working in the racing yard I always want to watch these guys too. Luckily, I am nimble(ish) and just darted between the rings. One of my faves, Abi Sole got an award for the highest place veteran, so I got a few pics of her. Always nice to see these horses doing well. After all my darting between the rings I had the chance for a Pimms and a little sit down at the international arena. First up was the coloured championships and saying hello to Julian. Such a great guy and someone who gave many valuable tips when I when started out. 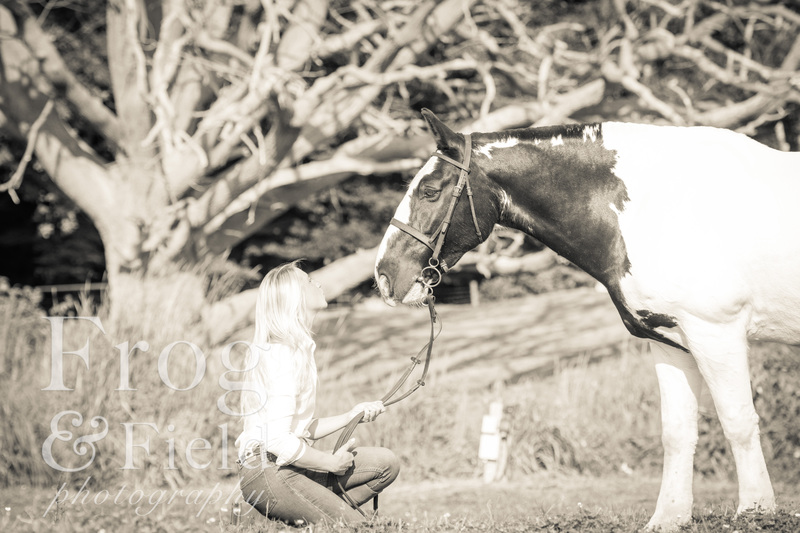 The championship was full of horses that I would love to go do shoots with. No more so than the stunning Kung Fu Panda, who claimed reserve Champion. Ridden by Emma Lucas he is such a cutie! Then followed the Side Saddle Championships. Quickly followed by the Hunter Championships. Where I was treated to seeing Lord John claiming the supreme. That was after chatting to the ride judge about what a lovely ride he had given him but how we couldn’t decide between him and the light weight. Very interesting to chat to someone on the other side. A quick chocolate covered marshmallow treat, it’s a yearly tradition, and then time to head back to the arena. 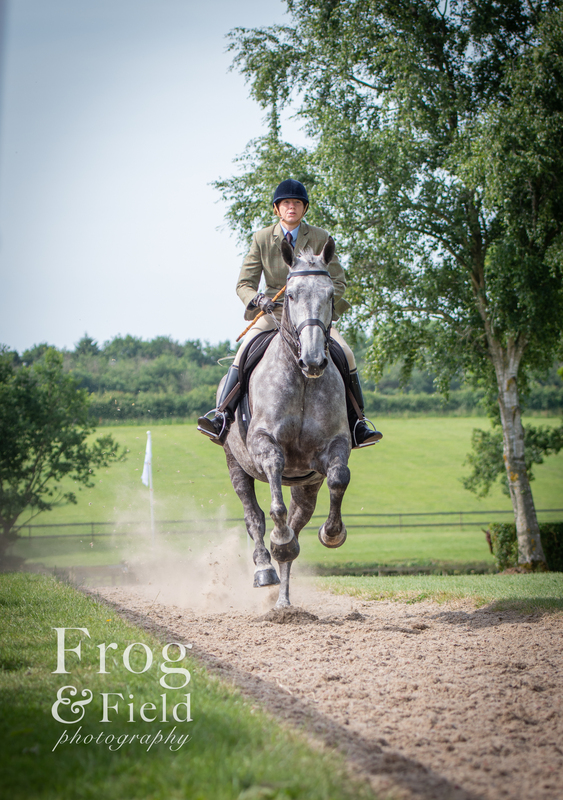 The final piece of excitement before the Derby was the RoR judging in the main ring. Quite a big ask for these horses given their history. Some of them got rather excited but overall, they were all very well behaved. Most of the gallops were under control and everyone managed to pull up! It is wonderful to see them enjoying their new careers so much. These horses make for such amazing pictures, gleaming and sparkling. 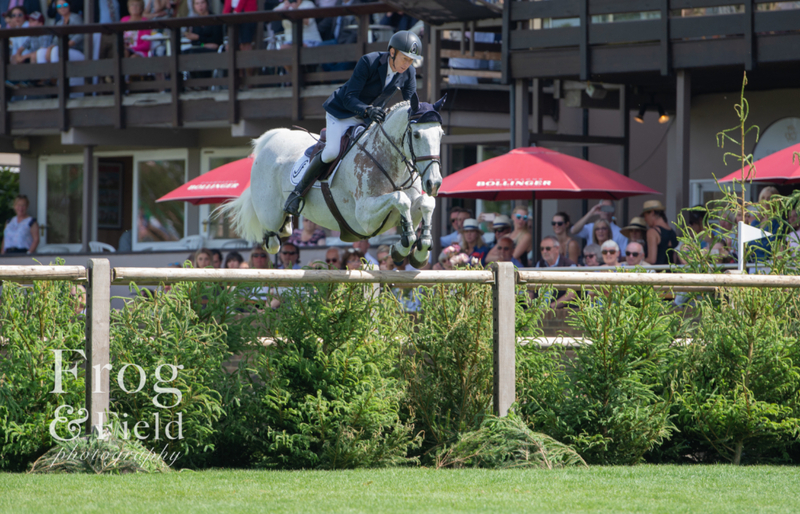 Hickstead Derby 2018: Derby Time! Finally, it was Derby time! The highlight of the weekend for some. 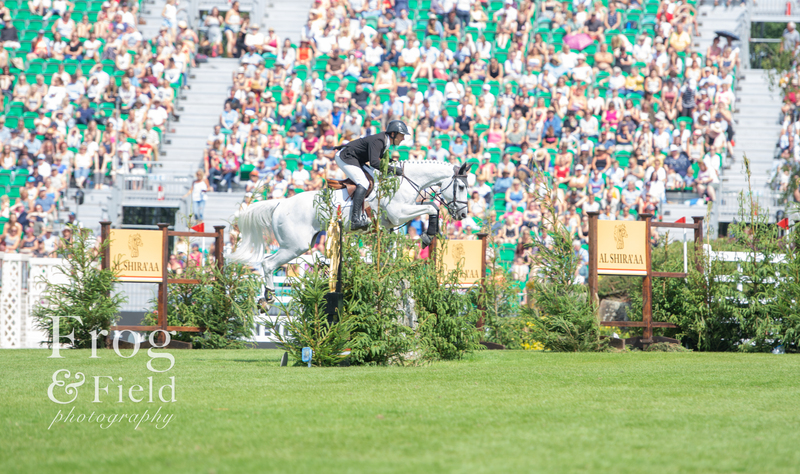 As usual the fences were big, slightly scary (as in terrifying) but it is the Derby, so I expected nothing less. A parade of all the horses and riders was a nice touch and the crowds loved it. As always there was the usual excitement. Some splashes in the water and a few rails down. One horse said a flat no to the Derby Bank after getting a third of the way down and changing his mind. 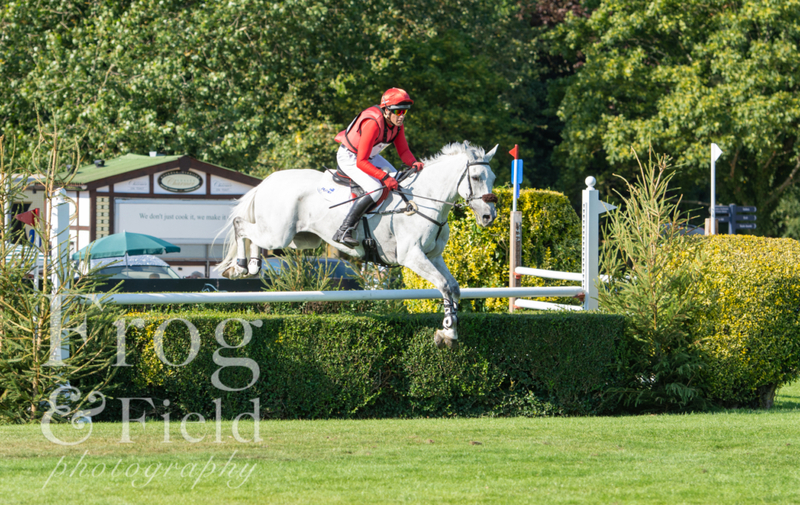 A few were caught out by fence 3 and there were the usual gasps and 4 faults. I was in awe of all the horses and riders for tackling the course and there were some exceptional displays of horsemanship. Then Andy Kocher and Navalo came into the ring. An exquisite grey with lots of character and a firm crowd favourite. I don’t avidly follow Show Jumping so was unaware that this was to be his final competition before enjoying a happy retirement. Sadly, this wasn’t meant to be. He jumped fence 1,2,3 and 4 beautifully. I was poised with the camera to get them pinging over the huge wall but under the arch I could see Andy throwing himself off and desperately pulling Navalo up. The crowd were muttering and there was a lot of ‘what is he doing’ when it became painfully clear what was wrong. Navalo couldn’t stand still, he had broken his leg. The ground staff were amazing, rushing in from the sides with the dreaded black screens whilst the vet and the grooms sprinted past me to tend to Navalo. Another groundsman sprinted to get the ambulance and with minutes they were they with Navalo. The team walked back past with his bridle in their hands and tears in their eyes it was clear he was unable to be saved. The crowd were deathly silent, and I had tears in my eyes. What a horrible way to go I thought and I suddenly lost my mojo and went home. When I was driving home though the more I thought about it the more I thought that perhaps it wasn’t that horrible. Yes, horrible for crowds, the staff and Andy but for Navalo no. He was locked on to the next jump, eyes bright, adrenaline pumping and loving his job. 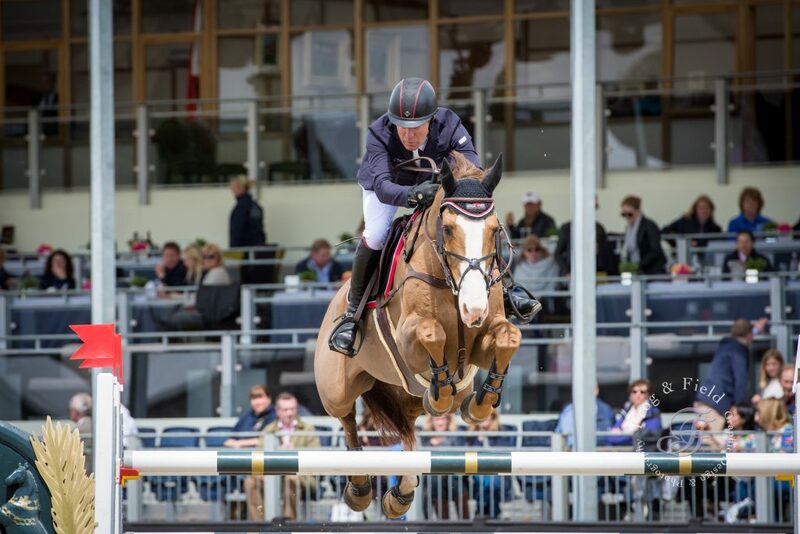 He went out in a blaze of glory in the international arena at Hickstead doing what he loved and with his rider who he adored. For some horses this is their reason for living. My thoughts have been with Andy and the teams from Hickstead all week. It was a tragic event but one that was handled so very well by everyone involved. Navalo was put first through the whole event and I’m hoping Navalo is up there somewhere jumping those jumps that made him so happy.